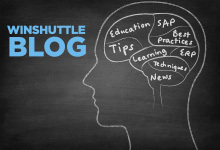 The Winshuttle user gathering of the year – be there or be square! You’re done for the day and preparing to battle the rush hour traffic when you notice a sticky note that reminds you that there is a user group or social club meeting scheduled for later that evening. You’re really just ready to call it a day and you’re really not in the mood to go. You rationalize that you can always go to some other meeting as they are scheduled periodically. But that’s what you always say and somehow you never quite make it. Does this all sound familiar? We’re all responsible for our personal professional development, one of the ways to continue our PD is to network with peers and professionals of equal skill and mindset and trade ideas, tips, tricks and techniques. 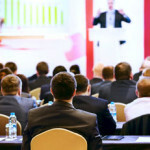 If you’re thinking about your future career and its development, attending a user group meeting is a small investment to make even if it involves a little travel and expense. Winshuttle launched a very successful Winshuttle User Group (WUG) meeting last year in New Orleans, the first such gathering of Winshuttle employees and customers all in one location with one objective – discuss how to use Winshuttle products to improve business operations and data quality when working with SAP systems. This year it will be even bigger and better! From an entirely selfish perspective, Winshuttle employees really love the WUG; this is a rare opportunity for them to put faces to names and voices and to share new product news and hear operations war stories from customers. Customers love it because they get a direct path to folks from support and product management. This is an opportunity for employees and customers who care, to share. Based on the New Orleans, London and the Paris WUG as well as the Winshuttle customer meeting in Canada I thought I would call out some of the reasons you might want to seriously consider attending the Chicago WUG this year. One facet of the WUG is customer sessions where speakers talk about how they use the products in their environment. We find that there are often features in the products and how they are used that can be leveraged by other customers who never knew these features existed. The problem with developing your own material in isolation is that you are limited by your own experiences and imagination. Often others will come up with similar challenges and explain how they resolved them in creative ways. There have been several releases of products over the years and with each release a bunch of new features and capabilities have been introduced. This is a further opportunity for you to be exposed to these features which are either discussed or demonstrated. During formal sessions as well as the more informal break-out sessions you have the opportunity to learn from experienced support, training and product staff from Winshuttle as well as from other customers. Education sessions, which are usually very lively and well attended are a great opportunity to “stump the chump” so to speak and we encourage you to bring product challenges or just simple thoughts with you to the sessions in order to help improve your knowledge of the products and help your peers and the Winshuttle community as a whole. Learning through Q&A is a great way to develop your own skill set as well as that of others. If you are someone who regularly attends SAP Insider shows or similar conferences then you understand the benefits of meeting your peers in the industry. Unfortunately at these big shows, there is often a large part of the proceedings that are not going to be relevant to all the attendees or there are so many in attendance that it is all very impersonal. At the WUG the reverse is true. Unfortunately, because the WUG runs in multiple tracks, you have to be perfectly ruthless about deciding which sessions are going to provide you with the biggest advantage. Fortunately though, if you find peers in the industry that you can connect with, you can score the benefits if you collectively decide to divide and conquer and then compare notes afterwards on the different sessions. The personal, family-like atmosphere of the WUG means you are part of a secret in-crowd who know and reap the rewards of using awesome products like Winshuttle Transaction to make SAP more usable and easier to work with. Coming away from the WUG you will have forged relationships with some fascinating people and be able to give them that all-knowing nod of recognition, just like a secret society handshake, the next time you see them at a trade show or ASUG meeting. On a more serious note, I’d like to really encourage you to consider the Chicago WUG this year. The agenda is currently building up to an amazing list of activities and learning opportunities. Discounted pre registration ends at the end of July but you will be able to register right up until the conference start. Those key dates are October 9-11, 2011 with a keynote on the first day by Harold Hambrose, CEO and founder of Electronic Ink. Hambrose is a recognized expert in maximizing synergies between humans, technology and business processes and he will discuss the value of the design process in SAP business process improvement.